Jason joined ADRI in February 2013, as a Research Fellow undertaking his PhD in the School of Psychology, University of Sydney. 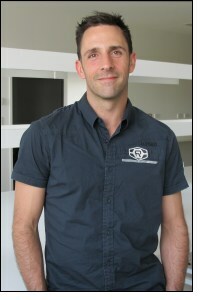 Jason completed his undergraduate and initial postgraduate education at the University of Tasmania from 1995 through to 2003. Since then he has been working as a Clinical Psychologist in Mental Health and has developed a variety of clinical, educational and governance projects during this time. Jason’s research project is a longitudinal study of health related quality of life in people diagnosed with malignant mesothelioma. The project will also examine anxiety and depression, supportive care needs, nutritional status, functional status and markers of inflammation in this population.